Saturday, March 17 marks the celebration of St. Patrick’s Day, but it will also mark a major milestone for the NyE Communities Coalition, which will be hosting its 10th Annual HOPE Run/Walk bright and early that morning. 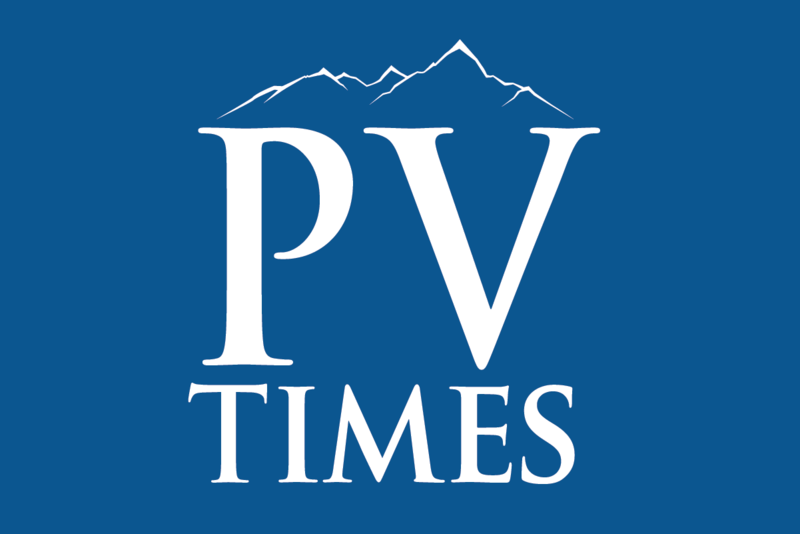 Special to the Pahrump Valley Times On Feb. 27 the Pahrump Elks Lodge donated $500 to the 2018 HOPE Run/Walk, which is set to take place Saturday, March 17. 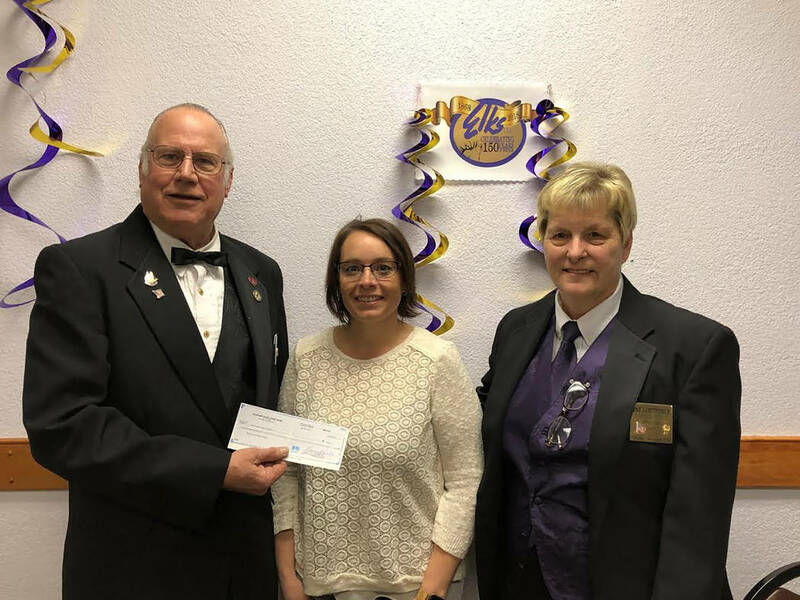 From left to right are Elks member Edward Underhill, HOPE Run/Walk Coordinator Tammi Odegard and Elks Exalted Ruler Pat Loetterle. The event is set to take place at 8 a.m. at the Mountain Falls Clubhouse. Over the past decade, this community fundraiser has steadily grown in both awareness and participation, attracting 163 participants in 2016 and 205 runners in 2017. For the 2018 event, organizers are hoping to see an even larger turnout, all with the aim of inspiring locals to live healthier lives. HOPE stands for Health Organizations, People and Environments and that is just what the HOPE Run/Walk is all about. The event gets residents up and moving while enjoying a social environment focused on positive messages. All of the funds garnered through the HOPE Run/Walk are dedicated toward the many programs at the NyE Communities Coalition, which has an entire division committed to health and wellness. The coalition serves a wide area, including Nye, Lincoln and Esmeralda counties. Registration for the 10th Annual HOPE Run/Walk is still open and participants can sign up for $30 per person. Patrons have the option of taking part by walking or running either the one-mile course or, if their endurance is up to it, the 5K course. Runners receive breakfast to get their energy up before the exercise, drinks to keep hydrated, a swag bag and a finisher’s medallion. As this event is focused on health activity and a fun atmosphere rather than competition, trophies are not handed out for the fastest participants. Instead, the event inspires another positive aspect of life, teamwork. The HOPE Run/Walk includes the HOPE Cup, which is awarded to the team with the most participants. For the past two consecutive years, Floyd Elementary School has taken home the prestigious trophy and teams will have to see if they can gather enough troops to have a new champion declared in 2018. The 10th Annual HOPE Run/Walk will kick off at 8 a.m. on Saturday and runners will want to be sure to arrive early to sign in. The Mountain Falls Clubhouse is located at 5001 Clubhouse Drive in the Mountain Falls subdivision. For more information contact race coordinator Tammi Odegard at 775-727-9970.